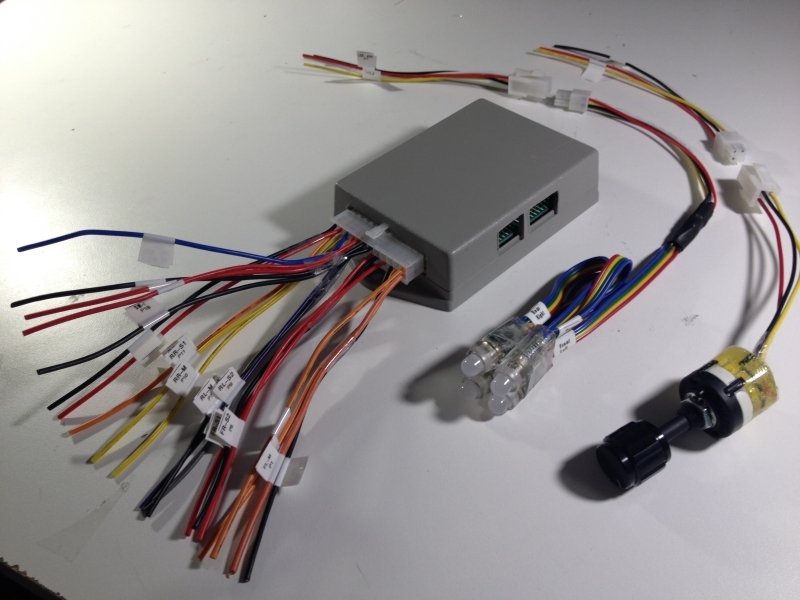 Renegade Techworks is proud to announce that it is now an open source product for it's aftermarket Mitsubishi 3000gt / Dodge Stealth ECS controllers. You can still buy the TechWorks ECS Controller from TechWorks with a 6 month warranty just like before. The Techworks controller is an OEM plug n play replacement for your Mitsubishi factory controller and is ready to go out of the box . But now under open source you also have access to the electrical schematics and the complete source code that is used to build and program the firmware in TechWorks ECS controllers. The TechWorks ECS controllers are programmed using the Arduino Open Source IDE platform. So if you want to hack your controller or build one from scratch your welcome to use the Techworks design and Source Code to do so. It's all free to use you don't have to buy anything. For all cars prior to 1996 that already have the Mitsubishi 3000gt Factory ECS system, the Tech Works controller can be used as a drop in replacement for your factory Mitsubishi 3000gt OEM ECS controller. It is a direct aftermarket replacement for the Mitsubishi OEM MB629056 part number. o It costs less than the factory Mitsubishi 3000gt ECS unit. o Manual Mode: Complete manual control operation - unlike the factory unit. You can user select the struts to Soft , Medium or Hard mode. 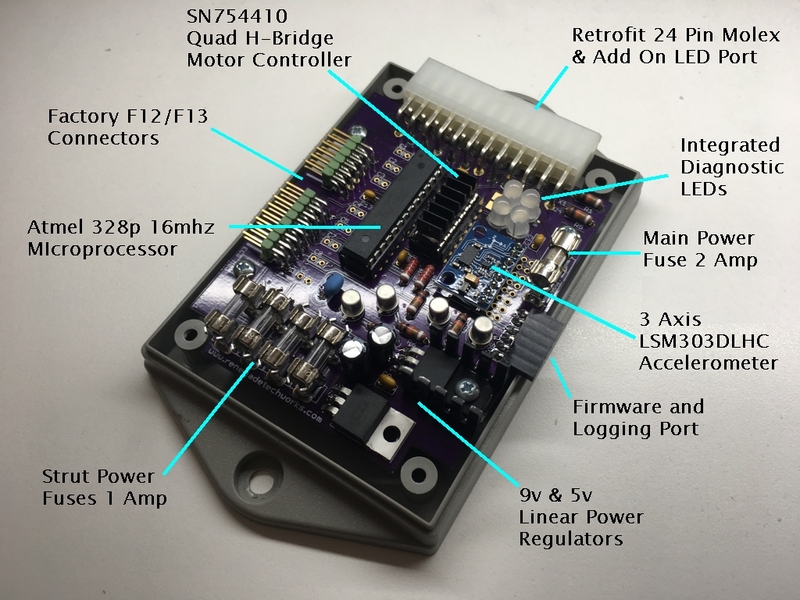 o Since The TechWorks controller is a completely self contained unit & has it's own integrated accelerometer for auto mode, it does not need & bypasses all the factory Sensors. Quite often it's one of the factory sensors that can cause a malfunction in the OEM system. o Unique to Techworks: You have access to the MEDIUM hardness mode settings on your struts which is not available as a user selectable mode in the Mitsubishi factory OEM ECS controller. o The Techworks Model 03 Controller comes with integrated LED status indicator & diagnostic lights . 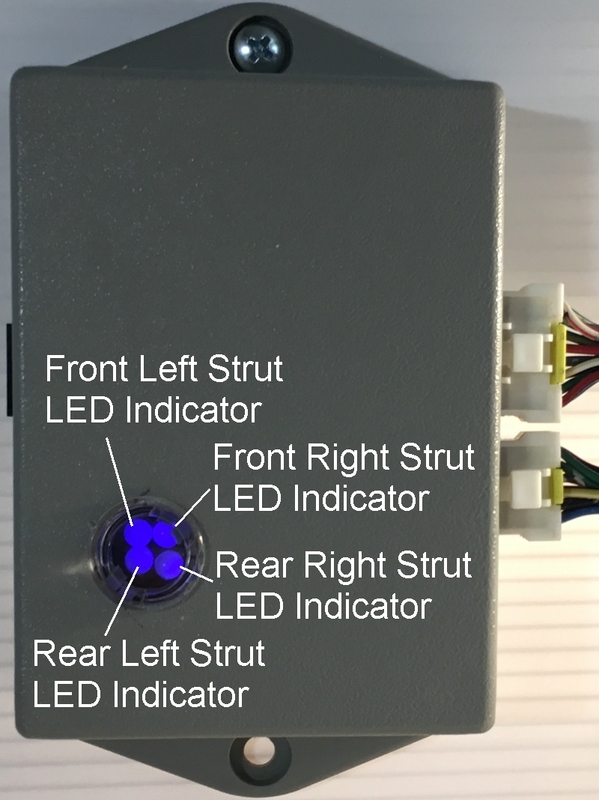 o You have the option of adding the 4 multi-color remote LED status indicator lights . See the ECS Retrofit descriptions and demonstrations below for more info. o To use the Renegade Tech Works Controller as replacement for your factory Mitsubishi 3000gt ECS controller is super easy - just unplug and remove your old 3000gt ECS controller and Plug the existing factory wiring harness connectors into the Tech Works controller and you're done. o Mode 8: Logging Mode: enables logging via the ECS communications port. 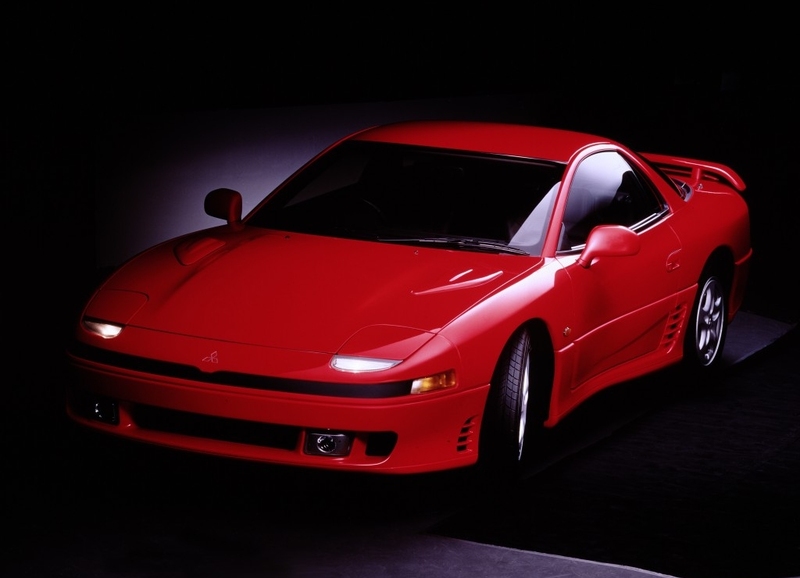 The Tech Works controller was originally developed to be used in 1996, 1997, 1998 or 1999 Mitsubishi 3000gt or Stealth cars that do not have the Mitsubishi Factory 3000gt ECS system. It allows you to be able to retrofit the electronically controllable struts back into these later model year 3000gt cars. o Remove your non-ecs struts and replace them with Mitsubishi 1995 model year standard factory Mitsubishi 3000gt ECS struts & mounting hardware. 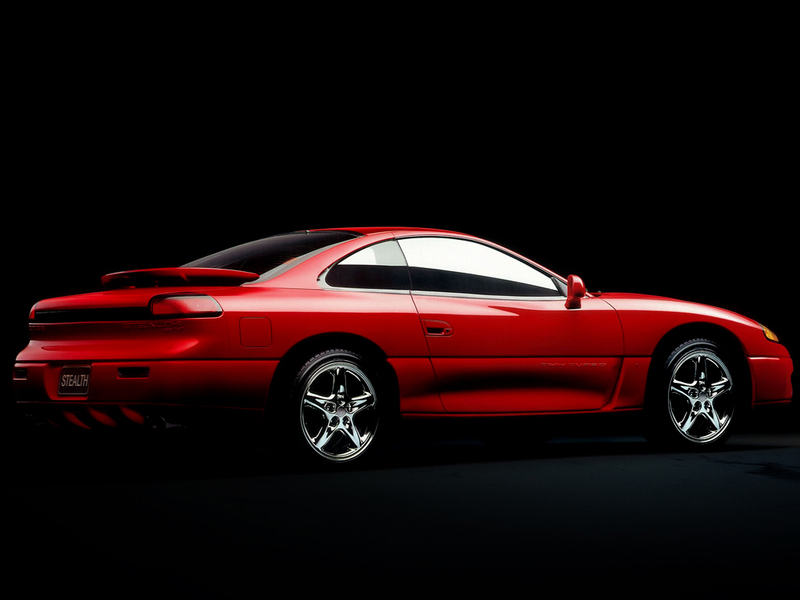 You can use the 3000gt Factory Springs for the ECS struts or use after market springs such as Teins H or S-Techs.